Our partnerships form a big part of our business and we pride ourselves on maintaining a high standard of industry contacts and relationships in order to give you the best knowledge, solution offering and service quality around. Voiteq operates globally and works with a network of strategic global partners to help us with designs, integrations, delivery and supporting solutions that enable process and workflow optimisations. At voiteq we work with warehouse management system (WMS) and enterprise resource planning (ERP) providers to voice-enable any warehouse; no matter which host system you have in place we can make your warehouse speak. Click here to see our Voice WMS partners. 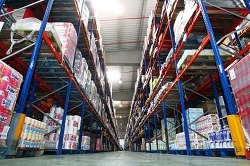 With over 15 years’ experience in the Voice and logistics market, we know what it takes to get your warehouse running efficiently and smoothly. Over the years we have establish key partnerships with suppliers and can work on your behalf to secure the best solution for your operation. Maintaining a thought-leadership position is integral to our success and we reply on the learned experience of our trade associations to keep abreast of the latest trends and technology affecting our industry.